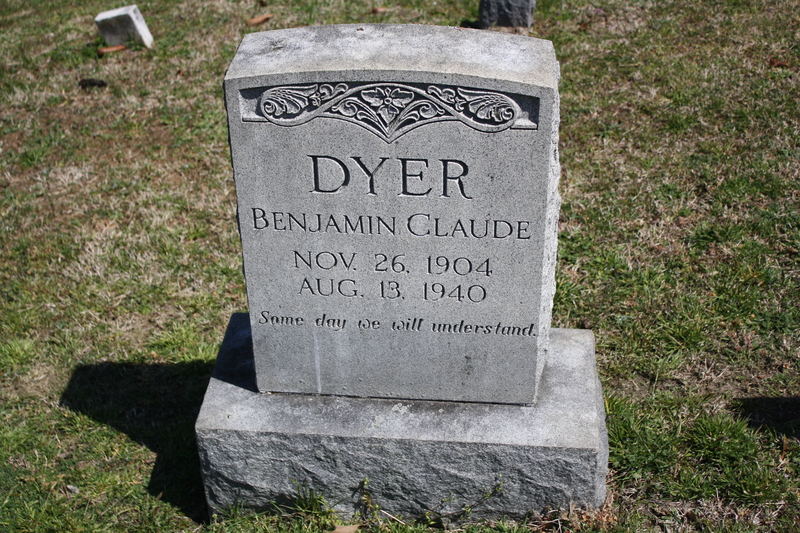 This inscription on Benjamin Dyer’s tombstone in Danville’s Green Hill Cemetery has always intrigued me. While the presence of a phrase or quote is not unusual on grave markers this one (combined with the fact that the decedent was only 35) suggested there was an unexpected tragedy associated with Benjamin’s death, something that his loved ones struggled to comprehend. Dyer, a one-time merchant marine and ship engineer at the time of his death, was fatally shot breaking up a squabble in a Baltimore restaurant between a disgruntled seaman and restaurant employees over a steak. The article below provides a more thorough account of events. I was unable to find any additional information about Dyer’s death or the outcome of William Mallon Sr.’s arrest.